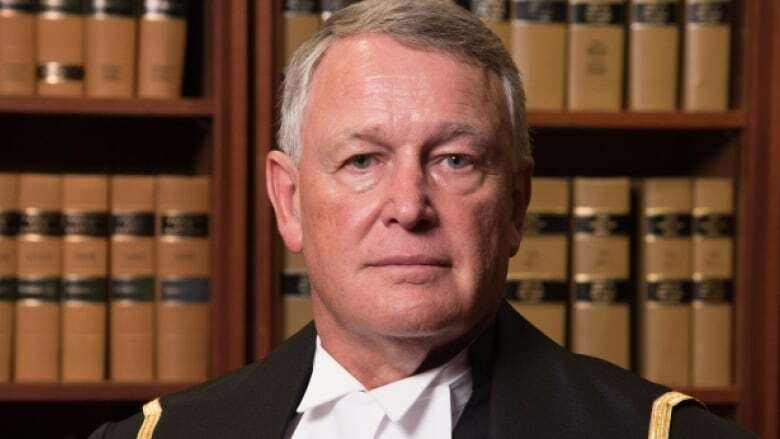 An inquiry begins Tuesday afternoon for a judge, formerly with Alberta provincial court, who is facing dismissal from the Federal Court over controversial comments directed at a sexual assault complainant in 2014. The public hearing takes place before a panel of five — three superior court judges and two senior lawyers — over the next week-and-a-half at the Westin Hotel in downtown Calgary. "These are public hearings, they're open and they're transparent," said Johanna Laporte with the Canadian Judicial Council (CJC). "The council recognizes that public confidence in the justice system can only be enhanced by these open proceedings and it's the council's mandate to ensure that serious matters involving judges are thoroughly investigated." Alberta Attorney General Kathleen Ganley forced the inquiry in January after a complaint made by two law professors at the University of Calgary and Dalhousie University. After opening remarks by presenting counsel and Camp's lawyer, intervenors — women's groups and sexual assault centres — will make submissions and finally, the panel will hear from Camp himself, who has previously indicated he plans to apologize. Panel members will then deliberate before releasing a decision — likely in written form — on whether or not Camp should remain on the bench at the Federal Court. "The inquiry is squarely tasked with determining if the facts surrounding the complaint are serious enough to warrant the judge's removal," said Laporte. During the 2014 trial, Camp asked the complainant "why couldn't you just keep your knees together" during her testimony in his role as an Alberta Provincial Court judge. The then 19-year-old woman alleged she was raped by Alexander Scott Wagar over a bathroom sink at a Calgary house party. Throughout the trial, Camp repeatedly referred to her as "the accused." "Why didn't you just sink your bottom down into the basin so he couldn't penetrate you?" Camp asked the woman. "That kind of comment goes back to the dinosaur age as far as I'm concerned," said Danielle Aubry with Calgary Communities Against Sexual Abuse. Camp acquitted Wagar, but the Alberta Court of Appeal overturned the ruling and ordered a new trial. By that time, Camp had been elevated to the Federal Court. "When you become a judge ... that's a privilege, it's a very high position," said Aubry. "It's incredulous to me that there are people sitting on the bench that are not educating themselves about issues like sexual violence." In ordering a new trial, the Court of Appeal wrote that the judge's comments raised doubts about his understanding of sexual assault laws. The Canadian Judicial Council received the initial complaint from four law professors at Dalhousie University and the University of Calgary. After that, dozens more flooded in. In his notice of response posted to the CJC website, Camp indicated that he agrees his comments were "insensitive and inappropriate," but says he has undergone gender and sensitivity training. Camp arranged and paid for his sensitivity training himself, during which he worked with a Superior Court judge, a psychologist and an expert on the law of sexual assault. He has indicated that he wishes to remain a judge. The council members include Justice Austin Cullen, who will act as chairperson, Justice Deborah Smith and Justice Raymond Whalen. The two senior lawyers, Karen Jensen and Cynthia Petersen, were appointed by the federal justice minister. Since the CJC was created in 1971, only two judges have been recommended for removal. but both ultimately resigned before Parliament, which has the final say, made its decision. Seven days have been set aside for the hearing but it is not expected to run its allotted time. On Tuesday, it starts at 2 p.m. MT. but will begin at 9 a.m. MT otherwise. Robin Camp case: What does it take to remove a judge from the bench?